My background was in teaching outdoor activities to a wide range of people, mainly in the Yorkshire Dales and the Lake District. Although I still enjoyed doing this work I found I spent a lot of time away from home so felt it was time for a change. When a job came up at the Yorkshire Dales National Park Authority it seemed to fit the bill – that was thirteen years ago. Over time I have had a number of different roles with the Authority and am now the Recreation and Tourism Manager. This is a varied role covering our work with tourism businesses, managing access issues, introducing new groups to the Dales and promoting being active in the National Park. I am based in Grassington and cycle in most days along the road from Gargrave through Hetton – there can’t be many better commutes into work than that. A big chunk of my time is taken up managing projects, often all the way through from being involved in initial ideas, through to applying for funding and watching things come to fruition. I really enjoy being involved and seeing projects completed and then people out there appreciating them. Why not take them to the Forbidden Corner – is it really possible to go around this unique place without ending up grinning. 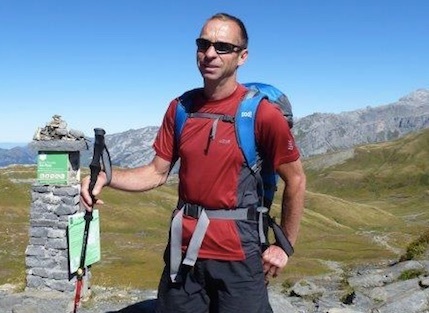 I always like to spend my days out doing something – whether that’s walking, cycling or climbing – so I feel I deserve the café stop or pub trip. If you are here in the rain then it is still worth getting out – visiting waterfalls like Hardraw and Aysgarth after heavy rain is awe inspiring. We are really spoilt for choice when it comes to great pubs for a meal and a pint that it is hard to recommend just one. Being sat outside one watching the swallows zipping around in summer or being tucked up inside by the fire in winter are both great experiences. In my spare time I really enjoy cycling both on the road and mountain biking. There are so many great rides in the Dales but if I had to pick one spot which always makes me realise how lucky I am, I would go for climbing out of Littondale above Halton Gill and heading across past Pen-y-ghent to Settle. It is a beautiful quiet road with fantastic views, a hidden valley below and then the great profile of Pen-y-ghent above you. We have been working recently on identifying a number of Dark Sky Discovery sites in the Dales, and working with businesses on how the ability to see the stars and Milky Way can be a great way of attracting people out of season. Being able to see the stars in all their glory at night is one of those things we take for granted but which is a revelation to most people who live in cities. Looking out over Thieves Moss from Sulber. It is just such a fantastic view over this sweep of limestone pavement and Crummackdale. I’m going to pick Stuart Price of the Dales Bike Centre. Like me, he's someone who came to the Dales and failed to leave. I really admire Stu’s unending enthusiasm for the Swaledale, the National Park and cycling. The fact that he has taken his passion and made it into a thriving business showed great determination and courage. Don’t forget that there is as much going on under the Dales as above it. 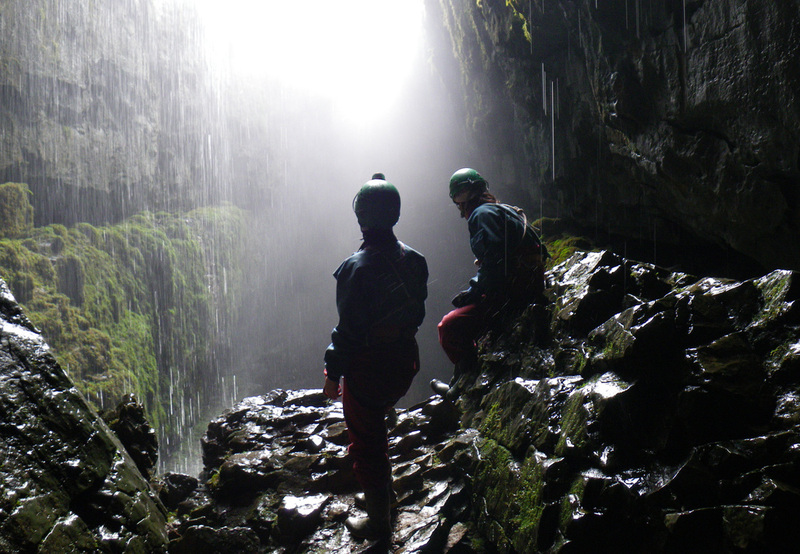 This is the number one caving area in the country and they can be dramatic and inspiring places. If you have never been underground it is really worth it – either at one of the show caves or by going on a trip with a local instructor.